Remember when your living room used to just have… furniture? Now it looks like the baby contraption equivalent of a car lot. Luckily, there’s a new seat on the scene that’s packed with fun and can be packed away at the end of the day. Skip Hop’s Jumpscape Foldaway Jumper is the perfect place for your kiddo to hang out, bounce, swivel, and play. 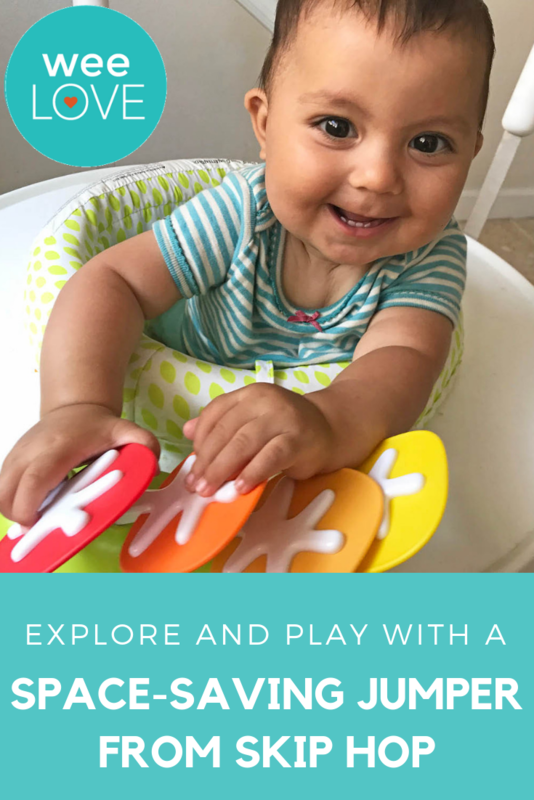 It features over 20 developmental activities (with colorful lights and sounds) that’ll keep your baby active and engaged in one safe spot. 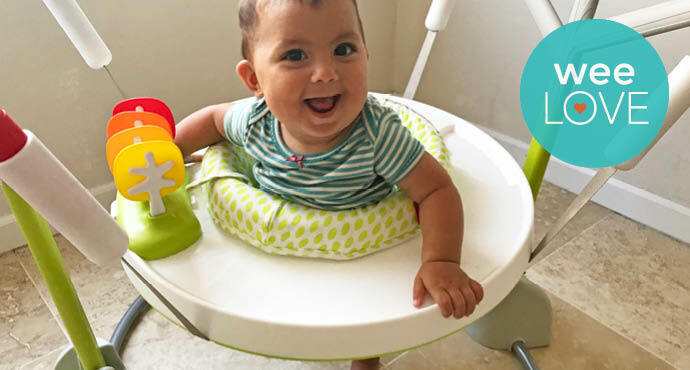 Aside from delightful clip-on toys, prepare to have your mind blown by the light-up “bounce counter” that tracks your baby’s jumps. (There’s nothing like a 250-bounce nap, amiright?) The seat rotates 360 degrees, so babies can change their scenery without going anywhere. Plus, it can be adjusted to five heights, so it’ll be a favorite play zone from age 4 months and up. At the end of the day, this sturdy jumper easily folds flat for storage. Tuck it under the couch, bed, or in the closet. You can even bring it in the car to grandma’s house. The best part, there won’t be a massive jumper blocking the remote from turning on Netflix when it’s finally time for you to relax!